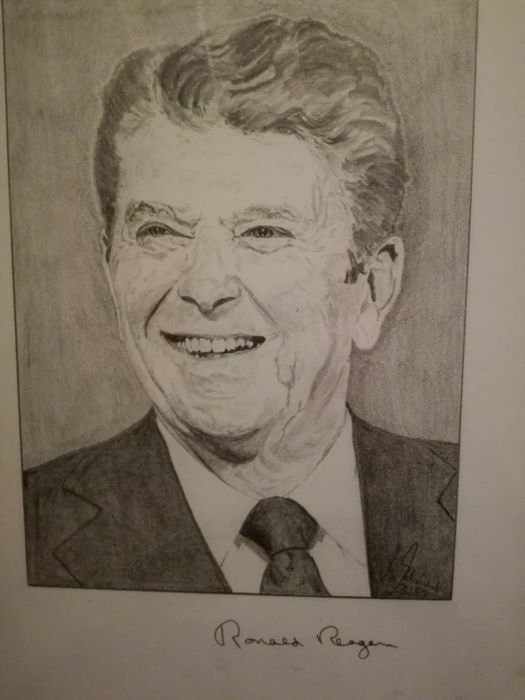 This drawing of the American politician Ronald Reagan is very special, because it has the original autograph of Reagan. 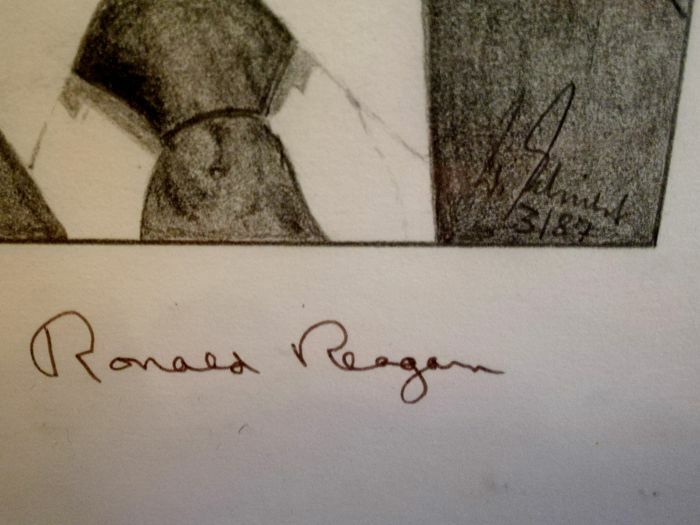 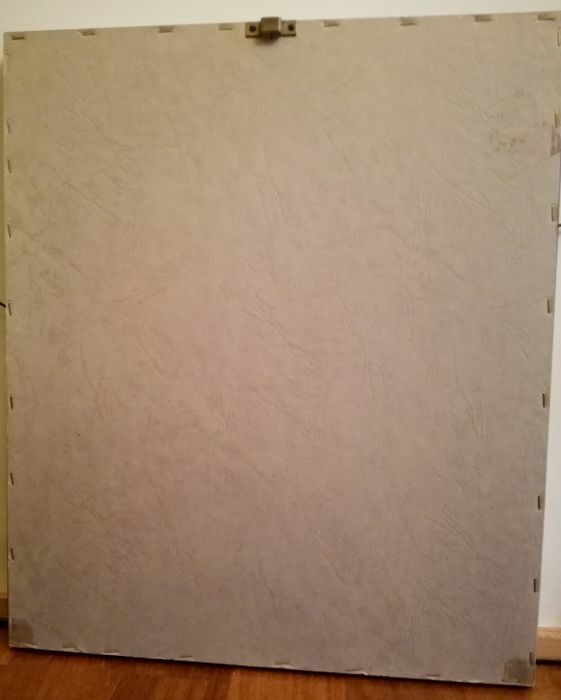 It also has the signature of the artist. 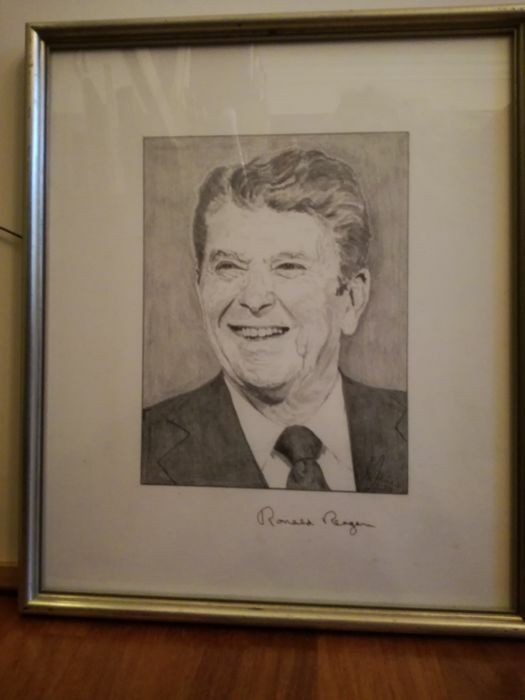 The drawing is framed and is in a very good condition.